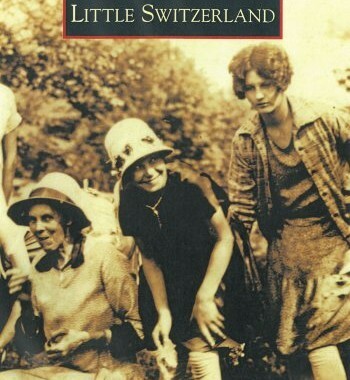 To coincide with the Little Switzerland centennial, Chris Hollifield and David Biddix have released their book Little Switzerland, a volume containing a wealth of information and black-and-white photos detailing the history of the community as far back as the Civil War. Their work was used as an invaluable reference for this story. As the Little Switzerland community celebrates its centennial, it’s worth looking back at how the contributions and collaborative efforts between native and tourist alike have shaped the small, temperate community on the edge of the Blue Ridge. The settlement of Grassy Mountain and Chestnut Ridge goes much farther back than shortly after the turn of the 20th century, of course. The area was originally settled during Revolutionary times by those hardy, self-sufficient souls who were willing to brave the challenges – of isolation, harsh terrain and even harsher weather – to find a plot of land they could call their own. Theirs was not a flight of fancy, but of necessity. Their story might seem quite different than that of those who would come along much later, but they are actually quite similar. Those who came here were looking for something. Those who stayed found what they were looking for, and were willing to endure whatever hardships might come along at 3,500’ feet to hold on to it. Like many others who came from somewhere else to call these mountains their home, both back then and even still now, Heriot Clarkson of Charlotte was a dreamer. A lawyer by trade, he had a vision of a cool, scenic retreat in the mountains of North Carolina, a utopian community along the Blue Ridge. In 1909, on the suggestion and advice, of two Marion real estate agents, Floyd Gardner and Reid Queen, Clarkson found himself on the back of a mule, climbing to the top of Grassy Mountain. According to Hollifield and Biddix, what he saw when he reached the clearing was precisely what he was looking for. The panoramic view from the top of the ridge held Roan Mountain to the north, Linville Mountain to the south, Grandfather to the east, and Mt. Mitchell to the west. “This is the place,” he told Queen and Gardner. His return to Charlotte was brief. The following year, under the newly founded banner of his Switzerland Company, Clarkson purchased 1,100 acres of ,steep mountaintop land on Grassy Mountain arid Chestnut Ridge, parceled out in one-acre lots for sale to like-minded dreamers who wanted a simpler life in more forgiving climes. Hollifield and Biddix said the name of Clarkson’s new company came at the suggestion of Anna Twelvetrees, who noted the similarities between the Jura Mountains in Switzerland and the geographical features of the start-up community. In 1935, an economic lifeline for the fledgling community appeared in the form of the Blue Ridge Parkway. Clarkson, who by this time had become Judge Clarkson with his 1923 appointment to the N.C. Supreme Court, wanted the highway to run though Little Switzerland on its way to Asheville, rather than going through Tennessee. Clarkson and his investors with the Switzerland Company lobbied state highway officials for the Parkway and eventually succeeded; but not without a fight. According to Hollifield and Biddix, the initial offer from State Highway CommissIon representative R. Getty Browning to purchase 88 acres of land on which to build the road was deemed too low by the judge and his associates. Their offer to settle for $22,000 was declined by the state, and the whole matter was thrown into court. Clarkson and Company got a sweeter deal from the legal system – $25,000 for the land, and an entrance on the Parkway. Situated at the location of the current day Switzerland Inn, the entrance is the only commercial entrance on the entirety of the Blue Ridge Parkway. The unpaved Parkway opened through Little Switzerland on Oct. 30, 1939. It wasn’t until 1947 that the road would finally be paved. Since the community’s inception, the economic engine gradually shifted away from mining to tourism. Depending on which legend one subscribes to, the 700-foot deep Horse Stomp Mine was started in pre-colonial times by either the Cherokees or Spanish explorer Hernando DeSoto, Hollifield and Biddix said. The industry continued as a going concern as a viable enterprise from the early 1900s through the 1960s. Thousands of tons of feldspar were hauled out of the McKinney, Emerald and Crabtree Mines and hauled to the Carolina, Clinchfield & Ohio rail line. Once the mines were depleted they were closed, but they would receive a second life in the years to come. In an ironic twist, Little Switzerland’s mining past is used by local businesses to draw tourists. Tourism has been an integral part of the community’s existence from the very start. The very qualities that brought Clarkson to the area in 1909 continue to attract those in search of mountain scenery and respite from the summer heat. In some cases, yesterday’s tourist becomes today’s part-time resident, or tomorrow’s full-time local.